Capt. Harold S. "Harry" McCarthy Jr.
Our last trip of two months flying from Florida to Washington State and back home was perfectly executed by him. 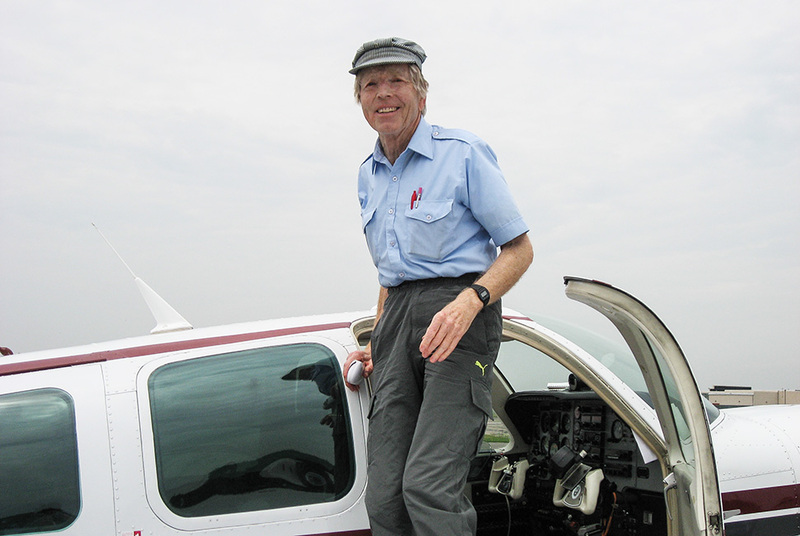 Harry was one happy aviator commanding his Bonanza high above the sky of this beautiful land of his. Unveiling countless awesome sights secretly kept here and there. And the lobster dinner two days in row in the coast of Maine where he had spent his boyhood days. The same restaurant is still in business and we sat there side by side gazing at the calm cove; he told me his happy memories associated with the area. It is now my precious memory forever. No violation, no accident but yes, now flying to his 173rd destination. Harry is seen here in June 2011, deplaning from his Bonanza in Farmingdale, N.Y.